Courtesy of Allen Tate/Raleigh-Glenwood, Graham Dixon. Beautiful home on a great corner lot in popular Brightleaf! Wonderful open floorplan featuring family room w/fireplace, spacious kitchen and dining. Upstairs features a loft room perfect for home office or 2nd living space plus 3 roomy bedrooms. Backyard was recently fenced and features a lovely custom patio. Amazing location close to Brier Creek, RTP and 540. Neighborhood amenities including pool and tennis available at an extra fee in order to keep HOA dues lower. Recently painted and ready to move in! Directions: From 70 turn into Brightleaf subdivision via Copper Leaf. Take first exit at circle to Prospect Parkway. Turn right on Hackney. Right onto Mebane Lane. Please, send me more information on this property: MLS# 2242989 – $280,000 – 2817 Mebane Lane, Durham, NC 27703. 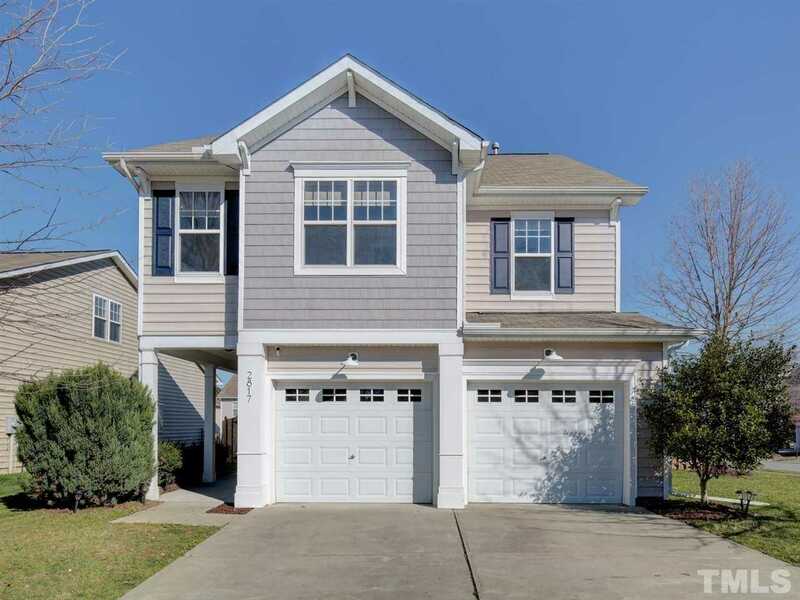 I would like to schedule a showing appointment for this property: MLS# 2242989 – $280,000 – 2817 Mebane Lane, Durham, NC 27703. © 2019 Eddie Cash. All Rights Reserved. Real Estate Website Design powered by Home Junction.